Gerardo Leal has been selected as the new principal of Park Place Elementary School. Leal began his career in education in 2002 as a third-grade teacher at HISD’s Robinson Elementary School. Prior to that, he served as a family literacy grant program coordinator at Park Place. He continued to develop his instructional leadership skills as an assistant principal at Deady Middle School before becoming the principal at Neff Early Learning Center, where he has served for the past six years. 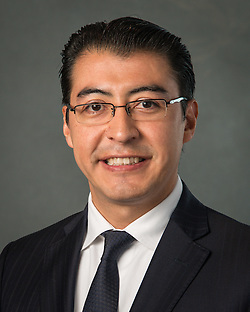 Leal earned his Bachelor of Arts from the University of St. Thomas, his Master of School Administration from Lamar University and completed his doctoral degree in Professional Leadership from the University of Houston. This entry was posted in Staff updates and tagged Park Place ES on August 8, 2018 by HISD Communications. Nirmol Lim has been appointed as principal of Park Place Elementary. Most recently, Ms. Lim was serving as dean of instruction at Hartman Middle School, and has been a part of the Hartman team for the last three years. Prior to this, she served as a math teacher development specialist, collaborating with K-5 teachers throughout the district to strengthen their math practices. Ms. Lim began her teaching career in 2003 at Seguin Elementary as a fifth-grade teacher and was identified as an ASPIRE Highly Effective Teacher for two consecutive years. Ms. Lim earned her bachelor of science in Psychology from University of Houston and her master’s in Educational Administration from Sam Houston State University. She is currently completing her doctorate of education in Public School Administration from Texas A & M University. This entry was posted in District III - Sergio Lira, News, Staff updates and tagged Park Place ES on August 6, 2015 by HISD Communications. A kindergarten class is studying about butterflies and can share the dramatic migratory adventure of the Monarch butterfly through the eyes of children in a classroom in Mexico. That is what Sylvia Huerta, a kindergarten teacher at Memorial Elementary School, is hoping to do through the technology introduced at her school by Microsoft. This entry was posted in District III - Sergio Lira, District VII - Anne Sung and tagged Bing, Memorial ES, Microsoft, Park Place ES, technology on September 25, 2014 by HISD Communications. This entry was posted in District III - Sergio Lira, Elementary Schools and tagged Park Place ES on September 23, 2014 by HISD Communications. Every year, HISD students from across the district create original artworks in the hopes of having their design chosen to grace the district’s annual holiday card. This year, Superintendent Terry Grier selected three students’ designs–one from Park Place ES, one from Johnston MS, and one from DeBakey HS. The winners were announced during a special reception for the finalists on Nov. 8. You can learn more and see a gallery of all of the finalists’ submissions in this related article. This entry was posted in Elementary Schools, High Schools, Middle Schools and tagged DeBakey HS, holiday cards, Johnston MS, Park Place ES on November 25, 2013 by HISD Communications.